On this 1/11/17 day….translating to 1/11/1 (by adding the numbers of 2017 together), here is more reinforcement for the previous post that the “new” is the “now” and starts today. As always, enigmatic prose that sets you alight. Visit the site often! There’s so much for us to catch up on, so let’s get right to it. The year 2017 numerically is a “1” year (2 + 0 + 1 + 7 = 10, and 10 reduces to 1 + 0 = 1). The number 1 represents the energies of rebirth, a fresh start, and inspired action. This year will bring with it a great deal of momentum and movement when it comes to new ideas, inventions, and creations. The intentions, actions, and deeds we are choosing to focus on right now, especially in the earlier part of 2017, will set the tone for what we will attract, create, and experience over the next 9 years. As we move forward, some things may still feel familiar. But we are on a completely different road now than we were on during the last 9-year cycle. It may take a bit of time for some to notice this, but those who are sensitive to energy will notice this change quickly. A “1” year is a time to plant the seeds of our desired intentions, especially for whatever we’d like to create more of. This is especially true for our creative endeavors, careers, and relationships. It’s true for the ways we choose to show up in the world, and for the ways we take care of ourselves in mind, body and spirit. Yes, we are free! Now let’s act like it! Tom’s musical works are completely mind-blowing, so please take advantage at his site. And his is postings sent from the always ethereal “Hathors” can help you begin anew. In this aarticle, I’m especially drawn to the cosmic information, as I’m experiencing some interesting energy shifts over last few weeks. feeling off balance, as if my body literally shifted a few inches left or right. When will all this settle down???? Earth’s magnetic field is involved in a perturbation or morphing. This is taking place interdimensionally, and the net effect is incremental surges in amplitude or strength of the magnetic field. This morphing of earth’s magnetic field is like a wave that rises and falls very quickly, and the oscillations are minute, but distinct. This is having a very strange effect upon human consciousness, specifically your biological experience. Many people are experiencing an increase of exhaustion and weariness (these symptoms are also caused by movements of energies from deep space as they pass through your galaxy and your solar system). But this (perturbation) is of a different category. This is caused by the magnetic field itself, which is responding to the deep energies from space. It is a response of the molten core of your earth itself; and the magnetic field is having a conversation with the cosmos, if you wish to think of it in this metaphorical way. Now, your science does not view things in this manner, but from our perspective the magnetic field is having a conversation with these cosmic visitors, the energies from deep space, which are, by nature, catalysts for spiritual evolution. Another new-to-me blog- the soul matrix.com -has a wealth of articles pertinenet to whats happening right now…and right now! 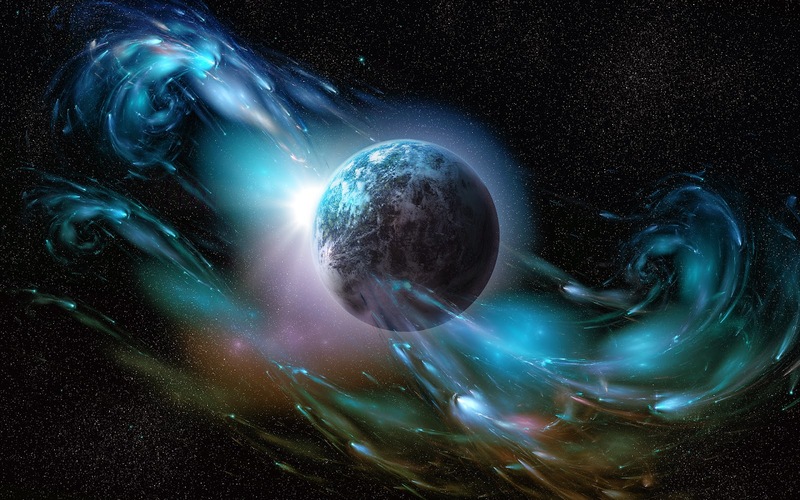 We Going Through a Collective Shift…..
We are shifting into a powerful period as the light waves impacting the planet intensify. Human existence in this dimension of earth is in the early stages of a complete transformation. The 3D timeline is collapsing which makes it hard for certain practises and systems to continue. Some systems, political and financial, are wobbling badly. There is a need for these to be reimagined and reinvented. There is an exposing of dark antics, behind the scenes activities that will shock many. (The dark is not evil, rather a conscious or unconscious blocking of spiritual evolution and expression. Many spiritual teachings turned dark as they were absorbed into religious organisations that were increasingly concerned about control, influence, status and power). We are leaving a time of spiritual ignorance that has lasted for more than 10,000 years. (That is not to say that the wisdom of spiritual masters has not had a positive impact. Rather these were like candle flames lit within in a dark cavern. They illuminated the way for many. Now the cavern is being opened to the light of the morning sun). This has been a tough time for many. The planet is dropping 3D energetic density at an accelerated rate. Old illusory programs of fear and separation are on their way out. The intensity of light bombarding the planet is brings up various ascension symptoms. For many this is a confusing, unpleasant and chaotic process. (I know this from personal experience. I went through a 5-6-year transition that was very difficult). We are in a time of swirling light and dark. As we just enter 2017 there has been a particularly strong download of light. This can cause some people to feel sick and disorientated. (I have had a bout of ascension flu post-Christmas and the first week of January). Light is being absorbed by the light grids within and around the earth and they are also impacting us personally. 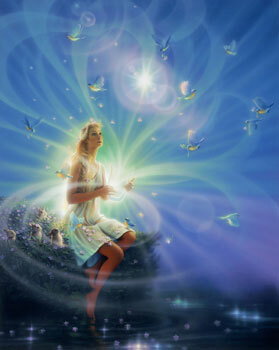 Light waves are stimulating our nervous system and activating various energy lines and layers of the light body. This awakening process is opening us up at a deeper level and is reminding us experientially of our multidimensional nature. Once this settles we enter a new period of soul connection and movement on the earth plane. « Love is where it’s at, baby!